February « 2017 « Write, or Else! This week’s very topical story comes from the crowdfunding site Inkshares, and is a project I have supported! 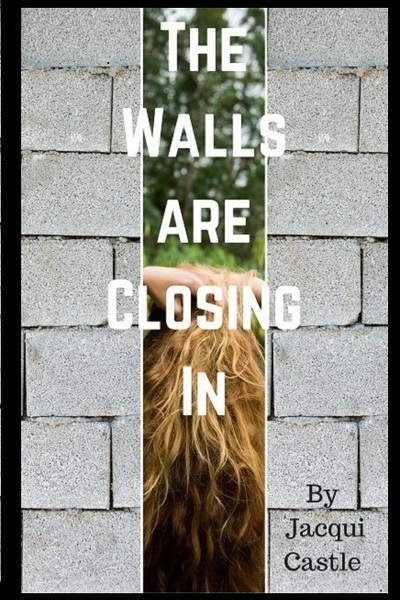 This books tells of a future in which a certain president’s dream of a big wall is taken to extremes. The story takes place in 2090, after walls have been built around both the northern and southern borders of mainland USA. The country has become a secluded Orwellian nightmare state in which History, Geography, and cultural expression are repressed. The story focuses on Patricia Evans and Rex Moreno, both assigned by the Natural Resources Division to search for ever-dwindling resources outside the major cities. Instead, they find a cache of unedited books from before The Seclusion, and it is up to Patricia to decide how far she’ll go to spread the truth. I found the preview pages quick-paced and easy to read, and the timely premise is also a big selling point for this book. I also admire the promotional extras created for this, including a good video trailer, a map, and pictures of models to show what the main characters look like. It’s not hard to see how Castle is generating a lot of interest in her work-in-progress, and her work is very effective – as I’m writing this, the book stands at 238 out of the 250 pre-orders need for a basic treatment on Inkshares. Definitely worth a look! I’m off to read more for next week’s feature! This week’s story comes from suggestions and review opportunities available at the Online Book Club. 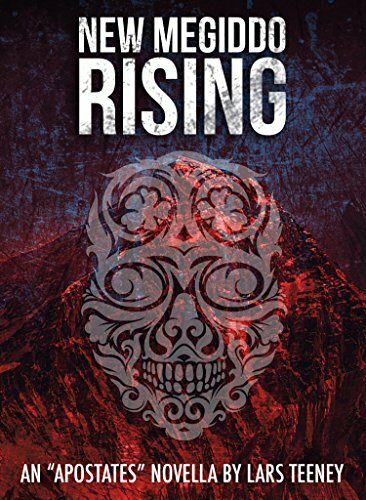 I read New Meggido Rising fairly quickly – it’s a short book, and it was written mostly as a setup for the Apostates series. As I mentioned above, New Megiddo Rising is a prequel novel intended to set up the characters and events of the Apostates series. The story begins in an alternate version of 19th century Mexico. The Governor of Coahuila y Tejas visits a settlement headed by the preacher Brigham Wainwright. The preacher lies to the governor, assuring him that he will contact the American government and discourage illegal settlers from entering Mexican territory. He later reveals to his captain that his real plan is to overthrow the Mexican government. The story jumps ahead to the future, where people have neural implants and live in a dystopian America called New Megiddo. The main characters are: Ayane Inoguchi, who lives in a church-run orphanage; Prescott, a Prelate of the church of New Megiddo; Kate Schrubb, daughter of the President, who is next in line for the office; Inquisitor Rodrigo of the Law of Virtue Enforcement; and Evan, an “apostate” teen living in the slums of Los Angeles. The narrative switches between these characters, building up their backstories as the stage is set for Book #1, The Apostates. As the story jumps to each new character, it seems that the reader is expected to know each one already. Character development is rushed, as each character is pushed along to the place and time they are seen in Book 1, The Apostates. This swift narrative leaves the plot a little lacking in cohesion. It is a bit difficult to develop an appreciation for the larger story as the narrative jumped between characters, despite the incredible worldbuilding and intriguing uses of technology. Even so, I thought the novel sets up an intriguing dystopia, with plenty of nice nods to Orwellian and cyperpunk tropes.